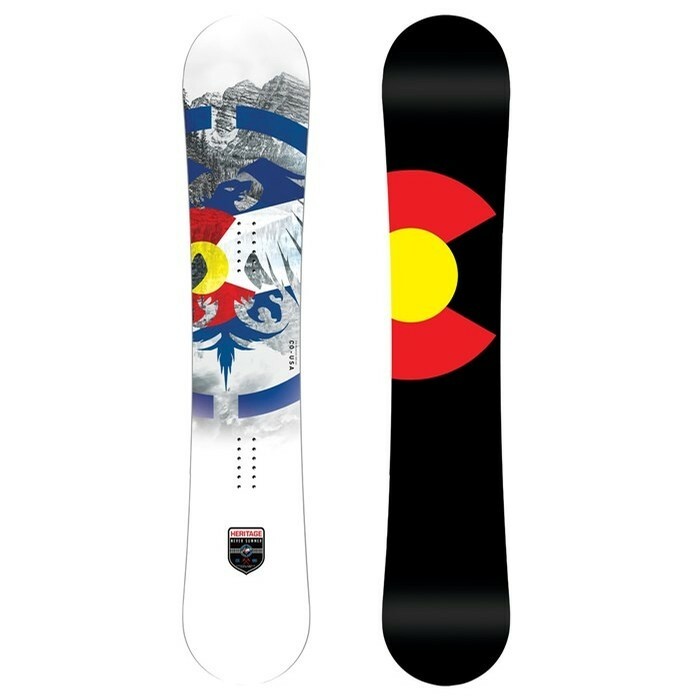 The Never Summer Heritage Snowboard makes a return in all of its original glory. The fans asked for it and Never Summer listened. This all-mountain king is packed to the brim with premium build techniques, like carbon Xs underfoot and a lightweight core construction for low swing weight and pop. An Original Rocker profile and Vario Power Grip Sidecut combine for the most versatile combination of soft snow maneuverability and hard snow control and power.